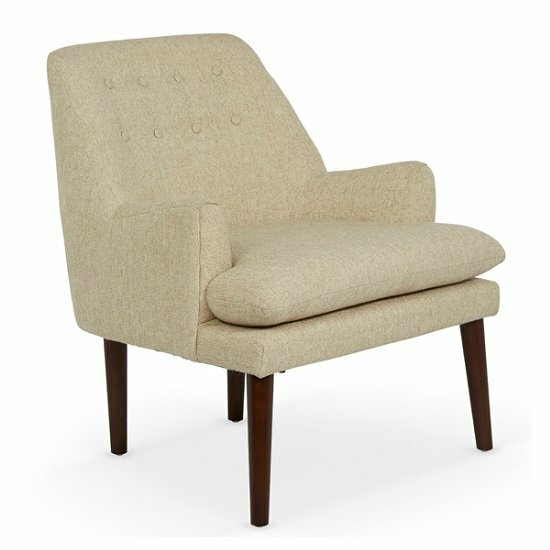 Urbino Fabric Lounge Chair In Mink With Wooden Legs, is an attractive, luxurious chair which will compliment any living space. 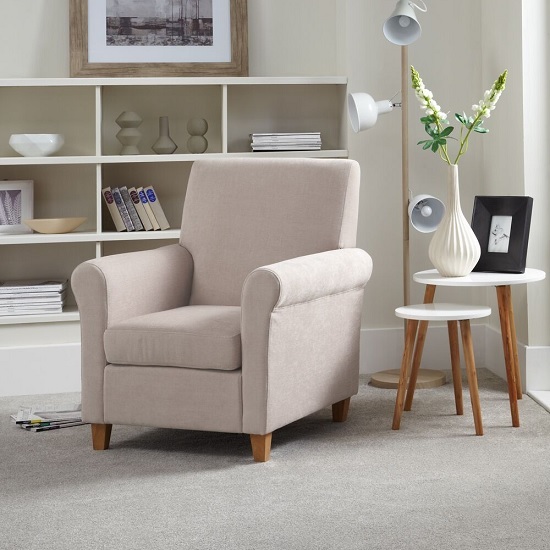 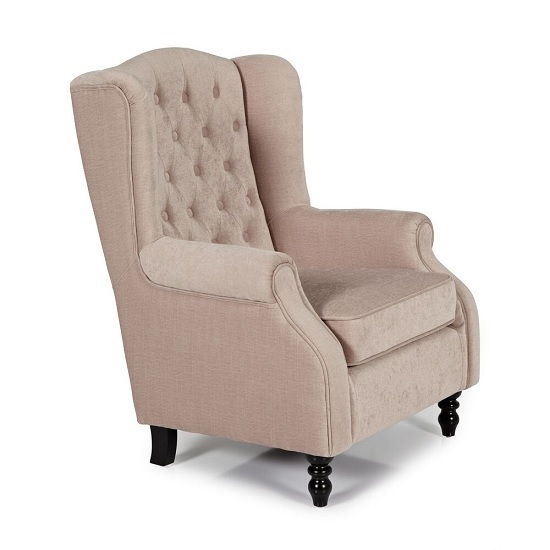 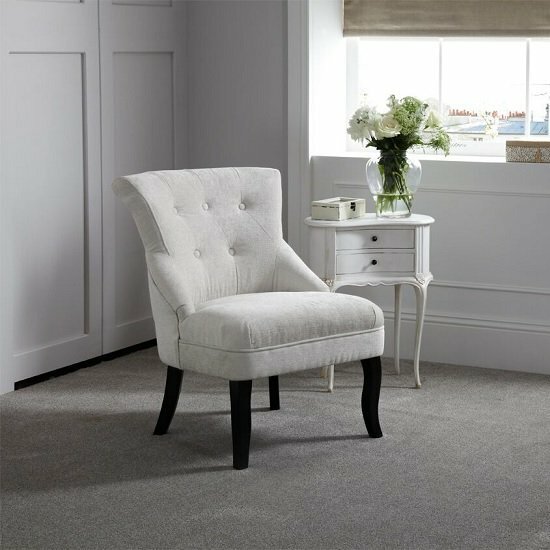 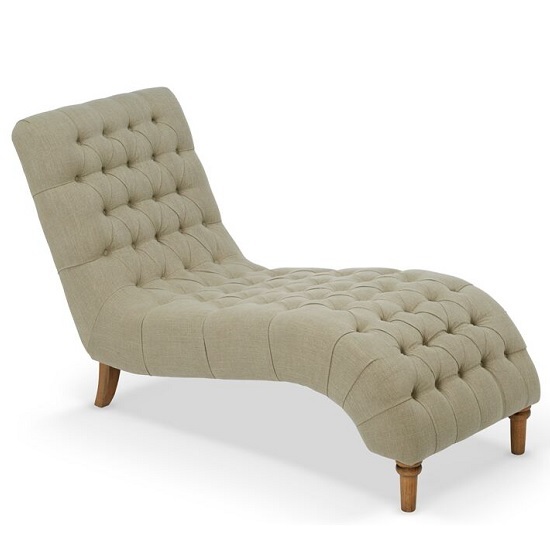 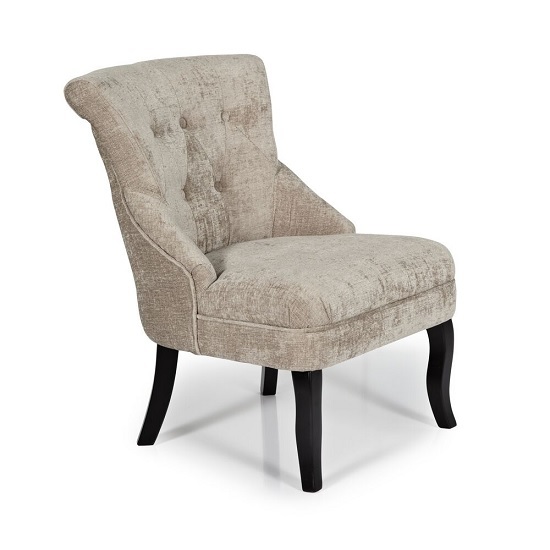 Upholstered in Soft fabric with wooden base. 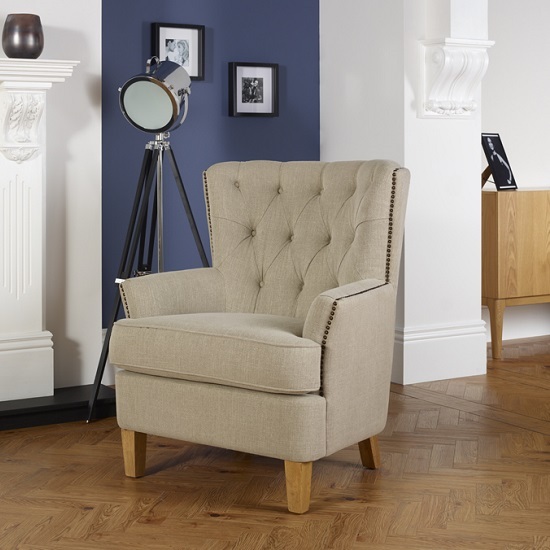 This classic occasional Chair is well complemented by black wooden legs. 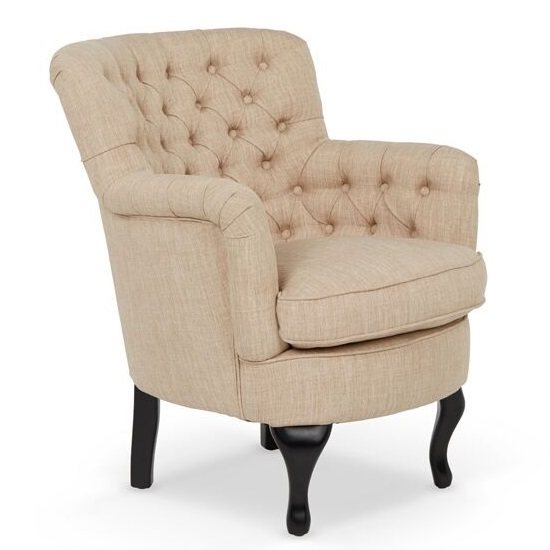 This chair has foam cushioned which provide extra comfortable support. 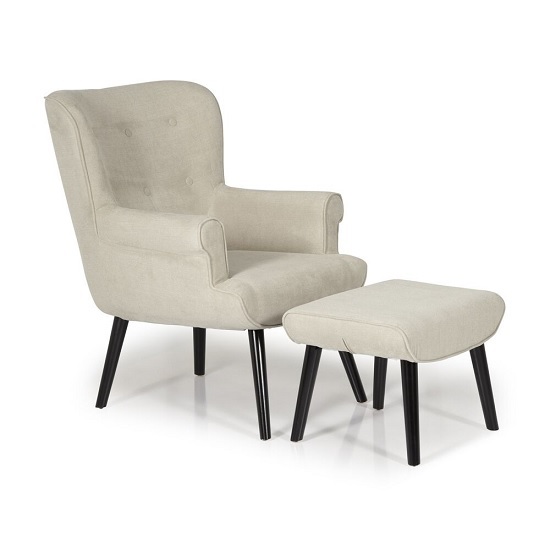 Features: Urbino Fabric Lounge Chair In Mink With Wooden Legs Soft fabric Cushion Type: Foam Seat Type: Serpentine & Webbing With artistically curvaceous legs and rich, button effect upholstery Black Wooden Legs Also available in Steel and Pearl Ideal for living room, Bedroom or hallway. 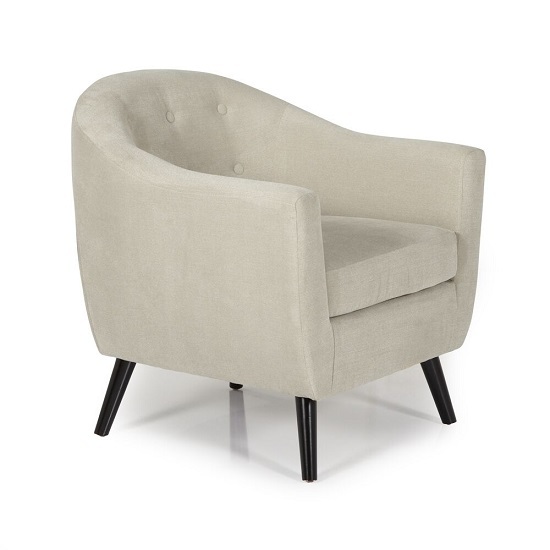 Available at an affordable price Dimension: Seat Width: 60cm Overall Height: 83cm Height to Seat Pad: 47cm Overall Depth: 72cm Overall Width: 60cm.